I was approached by milk&more to trial its milk delivery (and grocery delivery) service. I didn’t need to trial it however as I’ve been a very satisfied customer for over five years. It’s not just the nostalgia of the iconic glass milk bottles sat on your doorstep of a morning that makes this a great service… it’s the fact that it’s so damn convenient. 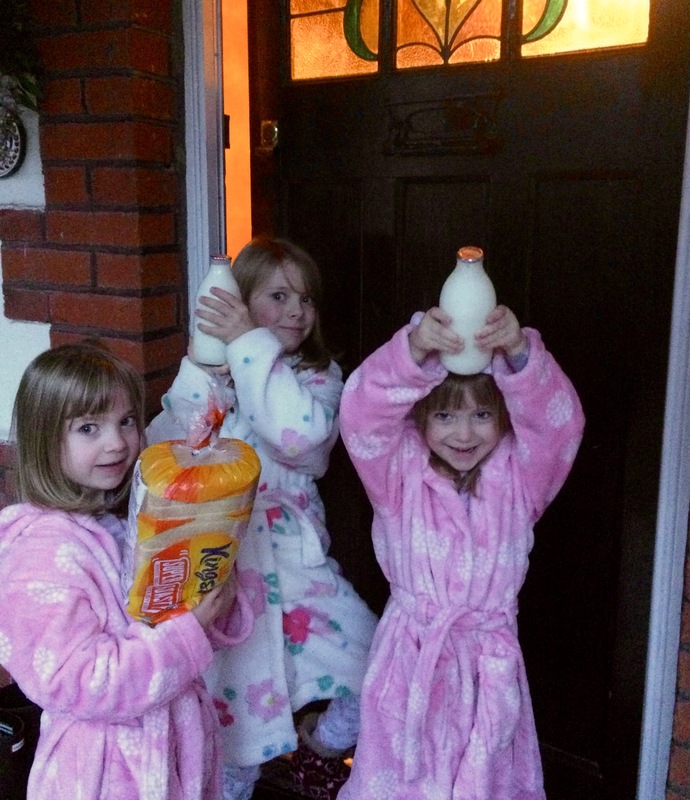 Milk delivery is just one part of the service. Aside from delivering the white stuff in every variety I can think of, milk&more delivers bakery products, dairy & fresh food, food cupboard items, drinks, snacks, home & garden bits and pieces (including pet supplies for dogs with allergies ) and gifts. You can manage it all – very easily – from your online account. However, should you need to speak to customer services by phone, you can do this very quickly. The joy of broken biscuits! Like I said it isn’t just milk. We get a lot of last minute groceries and we have a number of treat items that we get from time-to-time. The Traybakes Biscuit Tiffin Sharing Slice is a huge favourite. My three randomly love the Naked Antioxidant Apple & Botanicals Smoothie (despite its sludgy green appearance). However, the pièce de résistance is the Bumper Box of Broken Biscuits… You get a whopping 1.3kg of biscuits (which actually aren’t that broken) for a mere £3.00. 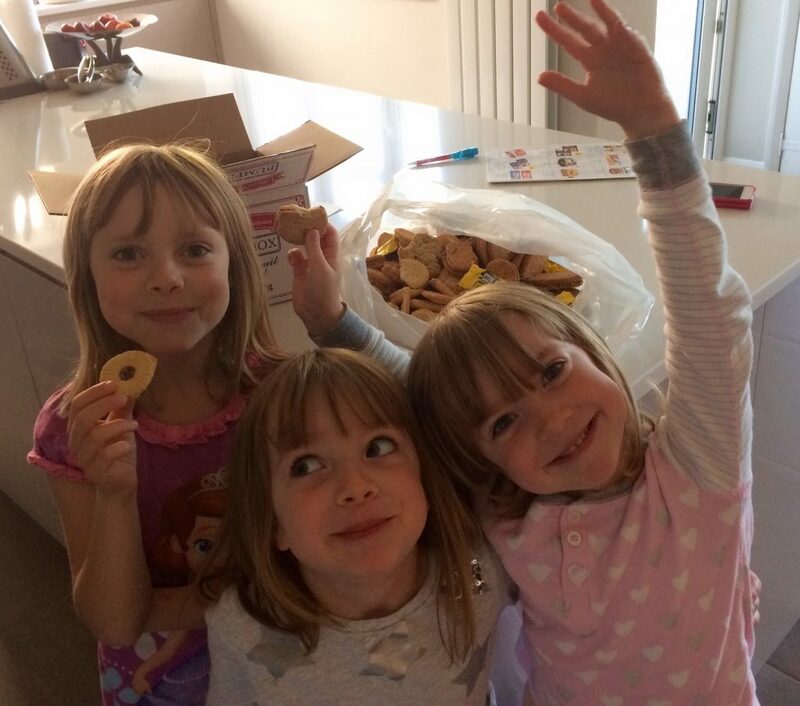 The girls absolutely love this treat as do my husband and I! 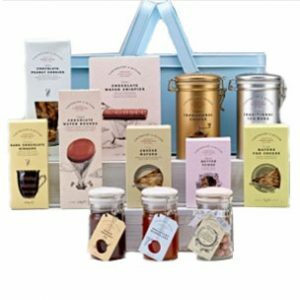 At the moment, you can order lovely luxury items and hampers from Cartwright & Butler through the service. 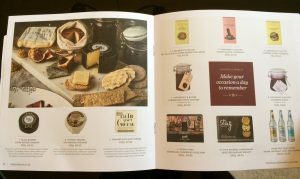 The milk&more Christmas catalogue is available now until December 30th. It is extensive and includes festive nibbles, speciality tea and biscuits, confectionary, desserts and even Fever-Tree tonic water for your festive tipples. I can honestly say milk&more is a fantastic service, which I wouldn’t be without.